The key to getting great opt-in rates is regularly running tests to determine if making changes to your opt-in forms will increase the percentage of people that complete your opt-in forms. In order to do this, identify one change to your forms that might improve your opt-in rates. Show half of your website’s visitors the original version of your opt-in form and show the new variation you created to the other half. Your opt-in form software’s split-testing capability will be able to handle the 50-50 split for you without having to write any code. Wait until about 300 more people complete your opt-in form. If the two versions of your forms are equally effective, they should both receive about 150 opt-ins. If your variation gets 175 opt-ins and your original opt-in form only gets 125 opt-ins, you know that the change you made likely improved your opt-in rates. On the other hand, if the original opt-in form gets more opt-ins than the variation, you now that the split-test didn’t work and you should stick with your original opt-in form. Every aspect of your opt-in forms can and should be tested. You can test different types of opt-in forms on your website. You might find than an entry popup works better than an exit popup. You might find that adding a second opt-in form to your website improves your opt-in rates. You can test changing the language in your headline, description and button text. You can test a different lead magnet to see if it better resonates with your subscribers. You can even test changing the colors and fonts in your opt-in forms. Remember that you should only test one change on your website at a time. If you make multiple changes at once, you will not know which changes are helping your opt-in rates and which changes are hurting your opt-in rates. 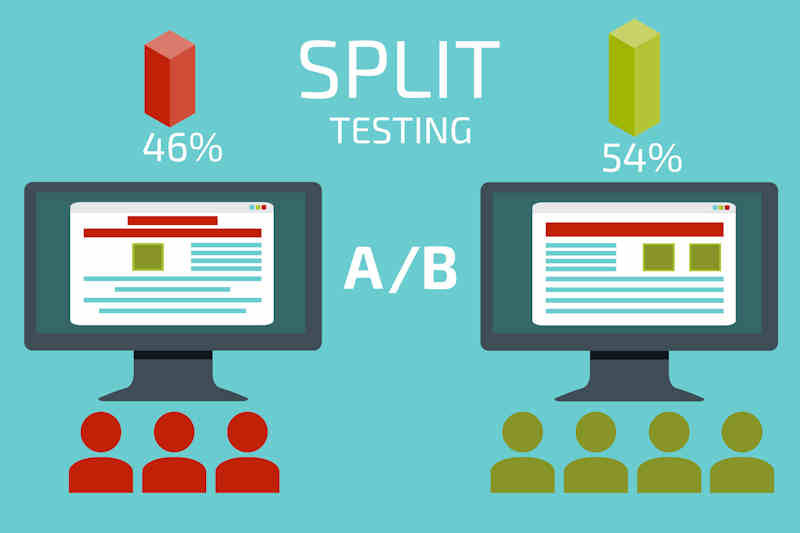 If your website doesn’t receive a lot of opt-ins on a monthly basis, it may take a while for you to run a statistically valid split test. If you only receive 100 opt-ins each month, it’s going to take you 3-4 months to identify a clear winner in any split-test that you are running. Because you can’t run as many split-tests when you are first getting started, you should put much more thought into the changes that you test. Start with big changes, such as re-writing your headline or trying a different lead magnet. Only test smaller changes like colors and button text after you have thoroughly tested the more visible aspects of your opt-in form. 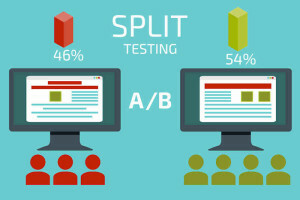 You will eventually reach a point where your opt-in forms are honed in and you start to see diminishing returns on your split-testing efforts. This does not mean you should stop testing all together. The effectiveness of different types of lead magnets and opt-in forms will change over time as web users’ behaviors change. 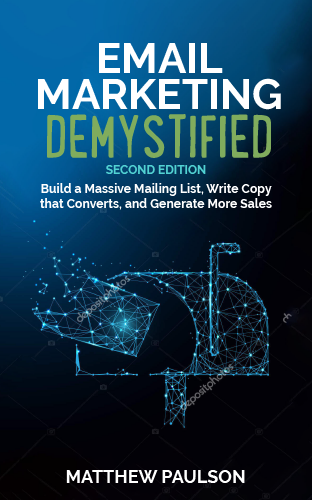 If you had a highly optimized set of opt-in forms three years ago and haven’t done any split-testing since then, it’s probably time to start testing new lead magnets, new messaging and new types of opt-in forms. The page that users are redirected to after they sign up for your mailing list is often referred to as a thank you page, because it usually contains a message that thanks a subscriber for signing up for a mailing list. A thank you page will also often contain next steps that the user should take, such as clicking a link in a confirmation email or checking out other content produced on your website. On most websites, there generally isn’t much content on a thank you page other than a brief message welcoming people to their mailing list. Many webmasters do not realize that their thank you page is an incredibly valuable piece of ad real-estate. A user that lands on your thank you page after opting in has already indicated that they are interested in your content and have taken a specific action to receive more of your content. They are much more likely than other users to take another action, such as signing up for a free trial of a premium service, clicking on a banner ad or opting into another mailing list through a co-registration ad-unit. While you might make $10.00 in ad-revenue for every 1,000 people that read an article on your website, you can make between $100.00 and $750.00 for every 1,000 new subscribers that land on your thank you page simply because people that just signed up for your mailing list are much more likely to take action than other people on your website. For specific information about how to monetize your thank you page, read the monetization chapter of this book.